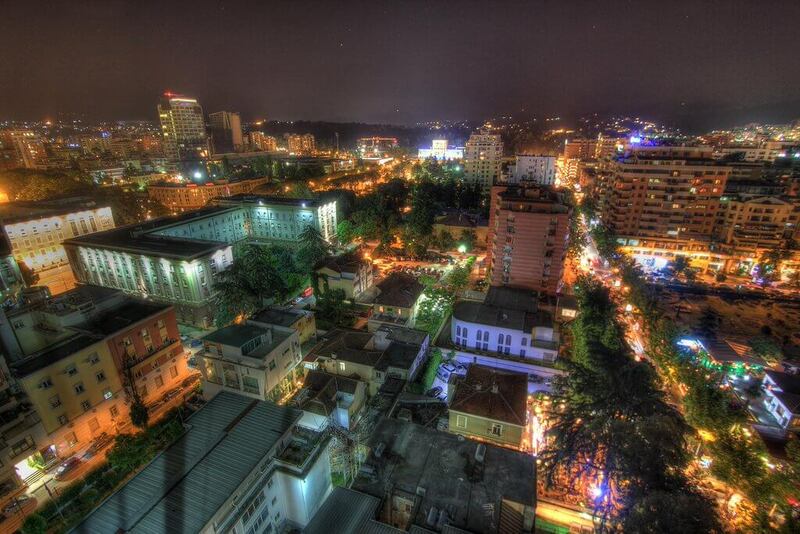 Like many cities in Eastern Europe, Tirana has transformed since the early 1990s. Today it’s a mix of cultures and architectural styles from different eras in Albania’s history, from the Ottoman Empire to the 20th century Communist dictator Enver Hoxha—so there’s plenty for visitors to do in the city during the day. As for Tirana’s nighttime entertainment options, many are centered around bars rather than proper nightclubs, but you’ll certainly be able to find a club if you’re keen. In fact, we’ve listed a few below in a list of vibe-y hangouts you should visit while touring the Albanian capital, which is the site of Electronic Beats’ free gig with Fatboy Slim at Mother Teresa Square on September 9. 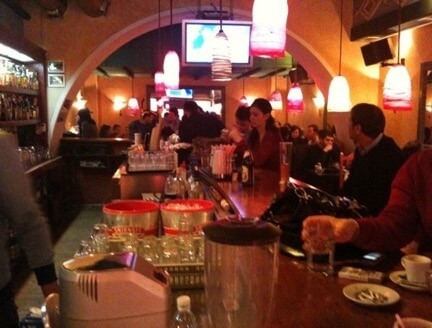 Foreigners may be surprised to find that the same quality of cocktails on offer in bigger cities like London or New York are also available Tirana; you just have to head to Hemingway Bar. Located in a quieter part of town not far from Skanderberg Square, Hemingway has a friendly atmosphere, over 100 types of rum—that’s it’s specialty liquor—and old-fashioned décor reminiscent of the 1970s and ‘80s in Albania, but with a bohemian twist. Fittingly, the music playing inside is always jazz. If you’re looking for a warm place to have a drink but don’t know exactly what kind of beverage you’re craving, head to Colonial Café, which identifies itself as “The Real Cocktail Bar in Tirana.” The nice staff will help you pick one of their many custom-made beverages based on a very specific series of questions about your personal tastes and pass some good hours. We recommend trying one of their signature frozen drinks. At Radio Bar you’ll get a sense of the Albania media with a side of jazz—and perhaps a snack if you’re hungry. The space combines a collection of outdated radios, a bit of retro kitsch, good music and alcohol. Old photos and movie posters line the walls, which themselves are decked out in funky fabric patterns that add an extra dose of quirk to the whole experience. 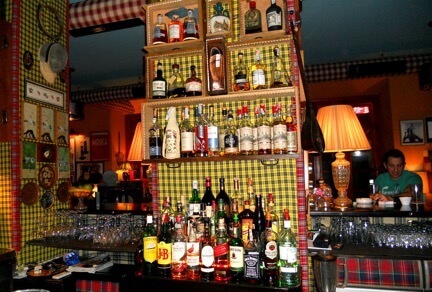 We recommend ordering raki, a traditional Albanian drink, or a nice Japanese whiskey. The brewery-style café Capriccio is one of the only bars to survive the last 20 years in Tirana, which makes it one of the oldest pubs in town. It’s a good excuse to visit Blloku, which is one of the most famous (and not to mention expensive) parts of town. There’s plenty to do while in the area, like visiting the former residence of deposed Communist dictator Enzer Hoxha or the friendlier option of touring the other trendy bars nearby, like Hemingway. It’s good for a happy hour beer or a coffee break, but beware that it’s usually full. There are many reasons for foreigners to visit Komiteti while in town. 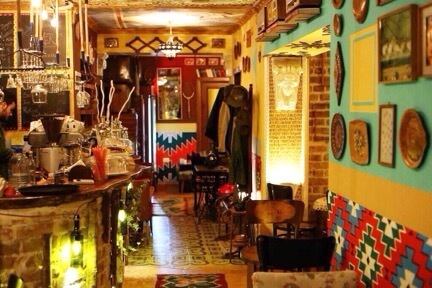 The first and foremost is that the café also acts as a mini-museum that displays a wide array of crafts produced during the Communist regime as part of Albania’s national heritage, which would be hard to find elsewhere. The second reason you should go there is because it has a wide array of alcoholic beverages custom-made by the best master distillers in different regions of the country. 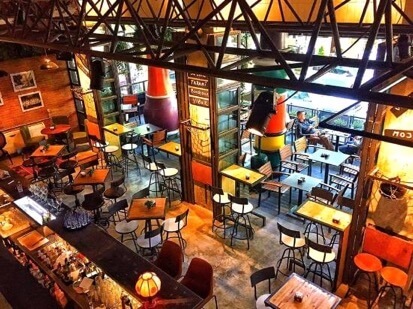 Thirdly, the space has a friendly and cozy atmosphere that makes visitors feel at home. And last but not least, head over to Komiteti to enjoy true Albanian hospitality as it once was. Excellent wine, delicious food and great service in the trendy part of Tirana—Mustafa Matohiti Street, or Rruga e Sales. What more could you ask for? If you want to see Tirana from above, check out Rooftop XVI for a coffee or a party with friends. The view, the music and the cocktails are just fantastic. You’re likely to catch tech house here, and if you’re looking for bigger-name DJs, this is your final stop. If you’re keen to sample Tirana’s nightclubs, Folie might be one choice. The location of this summertime spot is in the center of Tirana and the atmosphere is very lively. Arena Club is spacious and very modern. The drinks are good and they will not stop until you leave! 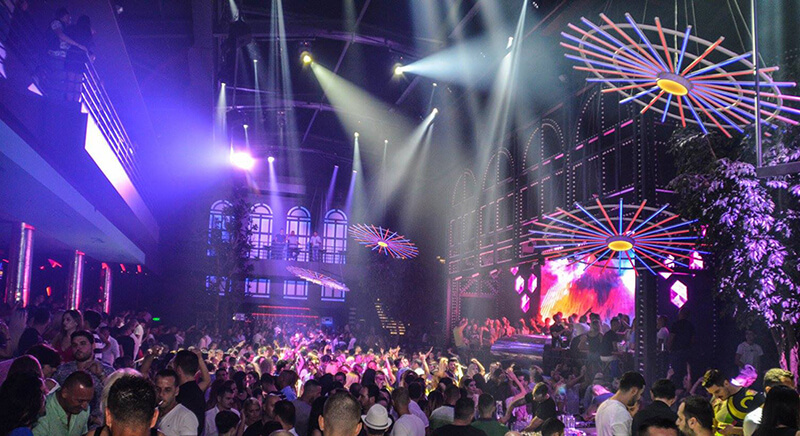 Lollipop is one of the oldest and perhaps most famous nightclubs in Tirana. 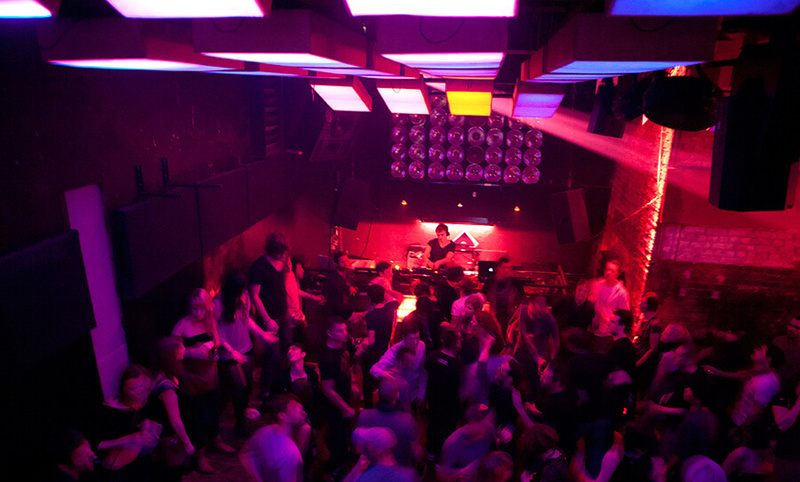 It’s a 500-capacity space devoted to EDM, so underground heads beware. But if you’re not hung up on styles and sounds and more interested in getting a sense of how people party in Albania, Lollipop is a solid option. Get tickets and find out more information about the Telekom Electronic Beats gig with Fatboy Slim, Bebe Rexha and Honne on September 9 here.